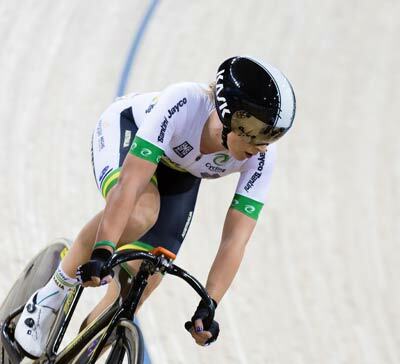 Introducing our brand ambassador Australia's cycling super star Annette Edmondson, who explains how a good night's sleep is key to her performance on the track, and her recovery off it. 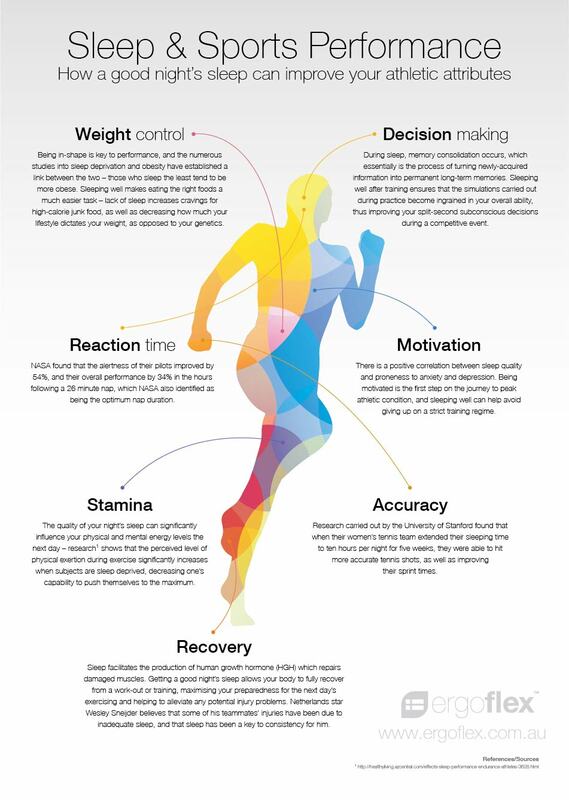 Ergoflex has a proud history of providing consistently great sleep to sportspeople at the very top of their game. Annette Edmondson is also among the many top-level athletes who consider Ergoflex mattresses as an important part of their regimes. We spoke to our brand ambassador Annette Edmondson about her career and fitness lifestyle, and the role that sleep plays in it. A: I first turned professional on the track in 2012 and 2013 on the road. Q: Ergoflex: Why cycling? Did you have a natural aptitude for the sport from an early age, or is it something you have had to really work at? A: As a child I played almost every sport except cycling but was selected in 2005 to trial cycling by the South Australian Institute for talent identification due to my physical attributes. I gave it a crack and found I was quite successful at it. In 2010 I started to lose my love for the sport and my results reflected this so I went away from the sport and had a break from cycling for 4 months. I ended up getting a so called normal job but got the urge back and knew I had a lot more to achieve in the sport. I changed a few things, worked harder than ever and haven’t looked back. I found out that it’s one thing to have the natural physical ability but another to be mentally strong. 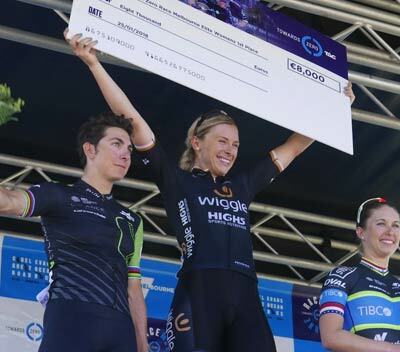 A: I was given a lot of help and support early on by the Australia Institute of Sport's professional team ORICA AIS which was so helpful. I also had a lot of advice from a lot of the older members and I knew the best thing I could do was listen to them. When you are younger you think you know everything but these guys had so much experience so you are best off to learn as much as you can. 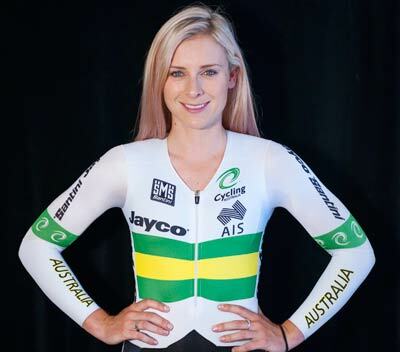 A: My first professional event was a world cup in Columbia and I competed in the team pursuit and we ended up in 4th place which for me personally was so exciting. Although the team was disappointed on missing the podium I had to say personally it was a real achievement knowing I could perform under pressure. After Columbia we continued to improve and a few months later were on the podium at another world cup event in London. Later that year was my first World Championships which we came second in the team and I competed individually and also came second. It was all quite overwhelming as it was quite a fast progression to achieving success. Racing in the Olympics in 2012 was so amazing. I was so new to the sport and had only just competed in my first World Championships which I only just made the team. I tried to simplify things and act like it wasn’t as big as it was but it was very overwhelming being there. The size of the Olympics is just so big from the village to the track to the media halls it’s very hard to prepare for. A: Well ten years ago I was 15 but yes it definitely has changed and it plays a major part in elite sport. Elite sports comes down to the one percenters so nutrition, fitness, rest and recovery are so important to achieve success. All these one percenters can be the difference between first and coming second so the science and research has definitely stepped especially in the last few years. Q: Ergoflex: Do you feel like cycling has taken its toll on your body? A: I actually do. The body wasn’t designed to sit on a bike for up to 6 hours at a time. Your back and knees can be very affected and the stiffness that this causes. When you push your body to a physical limit your body can react negatively. A: On the track it is a bit more structured so we have things such as ice baths, stretching, protein supplements and rest times. On the road we are generally moving and travelling around so it’s harder to get structure but I do try to do everything I can if it involves ice baths at the hotels or hot and cold showers. Compressions, rest and put the feet up! A: Most of the common post recovery stuff has stayed the same over my time as they are simple but effective. A: Sleep is highly important. There is no better way to recover than sleep. It’s my number one priority of performance. A: Yes since a young age I have always known the importance of sleep's relationship with high performance. I have been involved in a sleep study program and had to wear a wristband to see what quality of sleep I was having. We noticed that after two average sleep nights in a row my performance wasn’t as productive. A: Nutrition also plays a large role in my performance so I am always keeping an eye on what goes into my body. For me sugars and caffeine effect my sleep terribly so I avoid those. I like to have some sort of milk based drink before sleeping which always helps me sleep better. Q: Ergoflex: Does Cycling Australia or your team place any particular emphasis on sleep’s importance with recommendations and advice, or is it just expected of you to manage your own sleep regime? A: Yes there are sleep studies done for high performance. An expected sleep routine is encouraged for all athletes and different ideas and recommendations are always given and advised. Q: Ergoflex: Could any of your fellow pros use some sleep education? A: I find a lot of my fellow athletes can panic if they can’t get to sleep before a competition. Some are naturally better sleepers than others but education on ways to help are important. Q: Ergoflex: Your cycling career has taken you around the world – did you find any cultural differences when it came to acknowledging sleep’s importance? A: Not really as we are still in our bubble when we travel however there are a lot of differences in terms of times when we awake and when we asleep. A: I need at least 9 hours. Especially when training and competing .In Australia I try and get to sleep around 9.30pm as we are up at 6.00am. In Europe I tend to sleep in a little bit as we go to sleep a little later. A: Not anymore. I know some of the girls continue to use however I feel like I have mastered this area. A: My one recommendation is trying to wind down a few hours before you go to bed. If that’s some TV or even a book and definitely no food at least a few hours before sleeping. I also try and keep away from phones or anything that can get my heart rate up. A: It’s such a beautiful and comfortable mattress. No movement and just stays still and quietness. A: Comfort, stillness and you find your spot and stay in that position all night. It moulds nicely to your body and supports your body thoroughly. Shapes and supports in the right spot. My Ergoflex mattress has 100 percent improved my sleep and I wouldn’t sleep on anything else. Q: Ergoflex: What next for Annette Edmondson? O: After a really successfull Commonwealth Games at the Gold Coast I am now back in Europe for the European summer road racing series. I'll miss my Ergoflex mattress! Long term - Japan 2020!